It’s time to get a handle on your plugins. They can be real resource hogs and put your site at risk. This week, you’ll check for orphaned files of plugins that you deleted. We’ll have a brief overview of the worst offending plugins, and then spend the rest of the time helping a few select folks go over their plugin list live. To get the most from the webinar, you have to do your part. It’s super important for you to take responsibility for your site and getting back in touch with your plugins is a great place to start. Step 1 – create a spreadsheet with the names of all of your plugins. Read more about Step 1 and why this is so important to do. Step 2 – list the function of each plugin. Read more about Step 2 and function examples. When you delete a plugin, it disappears from the list in your WordPress admin area. But it may not be gone fully. Many plugins leave behind file folders and tables in the database. There are a couple of ways you can see orphaned folders of plugins. 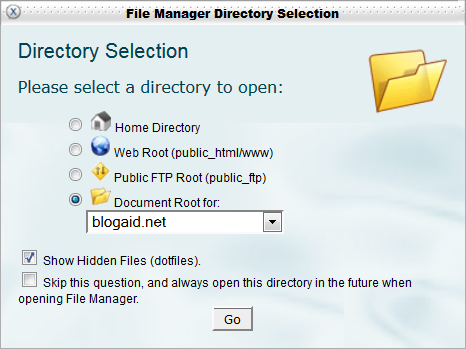 The easy way is via the File Manager in your hosting control panel. That’s the one we’ll be covering here. If your host does not provide you with this easy method, then you’ll need to go in through FTP. Check with your host’s knowledgebase to see if they have an article to help you hook up FTP. Many even have links that will configure apps like Filezilla for you. Click the radio button for Document Root and then select your domain from the drop-down. Then click the Go button. Double click on the folder for wp-content. Add the plugins you see listed here to your spreadsheet. If they are the same as the ones already in your list, that show on your site, great. If you don’t have the plugin already on your list, perhaps put it at the bottom and mark it or highlight it in some manner. That may just make it harder to fully clean it out. Some plugins also leave orphaned tables in the database. That’s a little much to cover in a written tutorial. But I’ll show you where to find those orphans during the webinar. And that will be Step 4. I’ll be inviting up to 10 folks to share their plugins list for review. We’ll help you identify conflicts, resource hogs, and orphans. BlogAid News subscribers will receive the first invitation before I make it public.